We are proud to invite you to our 4th VEECEE event in Berlin. 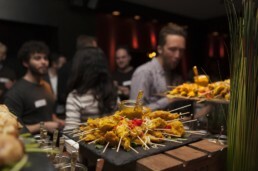 VEECEE is an event series in Amsterdam, Berlin and London from VCs for VCs! Where this time? We invite you to one of the most popular Asian contemporary dining places Berlin can offer! Join us from 7:30 p.m. for our "Veecee Berlin Meets Asia" dinner with fabulous food and drinks at Royals & Rice in Torstraße 164, 10115 Berlin. We are proud to invite you to our 3rd VEECEE event in Berlin. VEECEE is an event series in Amsterdam, Berlin and London from VCs for VCs! Where this time? We invite you to one of the most popular contemporary dining bars Berlin can offer! Join us from 7:30 p.m. for an exclusive seated dinner with fabulous food at Night Kitchen Berlin in Oranienburger Str. 32. What to expect? First, content-wise we will focus on a quick wrap up about the dos and dont's of IPOs by our partners from Deutsche Börse. Second, we are sure to again foster meaningful connections across the major VC funds. VEECEE.Berlin Rooftop Session 12th of June 2018 from 07.30 p.m.
We are proud to invite you to our 2nd VEECEE event in Berlin. 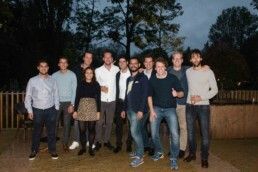 VEECEE is a event series in Amsterdam, Berlin and London from VC's for VC's! Where this time? We invite you to one of the most favourite rooftop bars Berlin can offer! Join us from 7:30 p.m. on the G&T rooftop in the Zoe Hotel directly at Hackescher Markt! What to expect? We will provide you with an summer evening full of joy, insights and connections! We are proud to invite you to the first VEECEE event in Berlin. VEECEE is a networking event from VC's for VC's! What to expect? We will provide you with an evening full of joy, insights and connections in Berlin - Mitte. Who are we? We are an initiative to bring together like minded people working in the VC sector in Amsterdam, London and Berlin. "From VC's for VC's!"